West Stephentown - Adelheid ‘Dale’ Gensicki from West Stephentown, NY, passed away at the age of 92 on January 22, 2019 after a brave and determined fight with Alzheimer’s disease. Dale was born in Vienna, Austria in November 1926. She met Theodore Gensicki in Vienna during the late 1940s while he was stationed there as a master sergeant in the US Army. They married in Austria in 1950. She sailed to the US that same year and lived in New Jersey with Theodore’s brother and sister-in-law while he was stationed in Korea. She and Theodore moved to West Stephentown in the mid-1950s. In the early years, they raised chickens, geese, and goats, and owned a few cows and horses. They grew and canned their own vegetables and fruit, made jellies, jams, and pickles. Dale learned English on her own and worked as a beautician in Albany for many years until the birth of her daughter in 1963. After obtaining her GED, she began working for the Averill Park School district cafeteria in 1974. She eventually became head cook at Averill Park High School. Although Dale retired from the school district in 1992, she remained extremely active. She continued to mow her own lawn and maintain her house and property until her very late 80s. 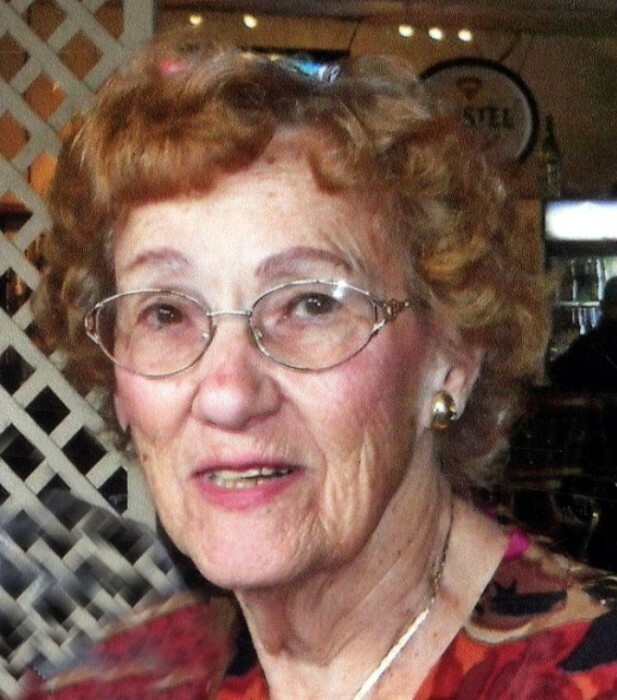 For over 40 years, she enjoyed bowling in several leagues at Hi-Way Recreation in Wynantskill and loved traveling with her friends to the bowling tournaments throughout the state. She also enjoyed line dancing with the senior groups and going to senior living and nursing homes to entertain the residents. She loved her family passionately and adored her animals, especially her cats Mittens and Layla. Dale had many wonderful friends and had great fun hosting picnics, going out to luncheons and dinners, and just spending time with the people she loved. She is survived by her daughter, Julia Gensicki, and her daughter’s partner, Mary Ann Siligato; “adopted” daughters Stephanie Nichols, Tanya Hicks, and Lynn Noesen; “adopted” grandchildren Dominic Donato, Tory Donato, and Spencer Wieland as well as numerous nieces and nephews in the US and Austria. She is predeceased by her mother, Gisela; her father, Wilhelm; sisters Wilma, Loisi, Erna, and Gisela; her brother, Leo; and her husband, Theodore. Relatives and friends may call at the DeGraaf-Bryce Funeral Home, Inc. 4392 Route150, West Sand Lake on Friday, January 25, 2019 from 4-7PM. Funeral service will be held Saturday at 10AM at the funeral home with Rev. Trygve Tomlinson, officiating. Interment will be in St. Henry's Cemetery Averill Park. In lieu of flowers contributions may be made in memory of Adelheid L. Gensicki to The Community Hospice (Gift Processing Center) 310 S. Manning Blvd. Albany, NY 12208 or Companion Animal Placement Program 279 Troy Road, Suite 9 Rensselaer, NY 12144 .